Journey to the realm of Norngard, home of the Norns, a place of mystery, magic and myth. A place both wondrous and monstrous. Seventeen year old Meruself brought death and suffering to Norngard, a world where once none existed. Now exiled from her home, shunned, and withering under the weight of her shame and regret, a terrible beast pursues Meruself's every step. Desperate to set things right, she accepts a quest that will threaten her survival, challenge her beliefs, endanger all those she loves, and lead her down a path into the dark unknown to face the very thing she fears the most. As the Dark Reaping closes in, Meruself must find the strength to face her past and the courage to embrace her greatest fears, for it may be the only way she can ever go home again. 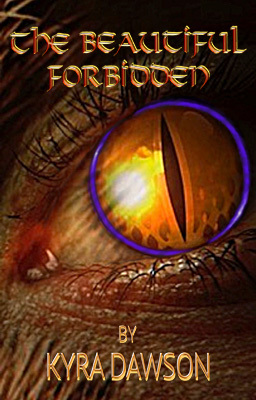 Read The Beautiful Forbidden, Book One in The Books of Norngard series written by fantasy author Kyra Dawson right here. The Beautiful Forbidden is a young adult dark fantasy web serial and is updated every Friday. Did you know that if you liked reading The Beautiful Forbidden you can support it by becoming a Patron? Find out how. Visit me on Patreon today. Did you know you can support The Beautiful Forbidden on Patreon? Become a Loyal Norngardian and receive Patron perks, like reading Meruself's diary, some other really cool benefits for Patrons and Norngardians only, early access to other books in The Books of Norngard series and other works in progress by fantasy author Kyra Dawson, as well as coveted glimpses into The Meru Well.  If you choose not to become a Patron on Patreon, you can still make a one time donation of any amount via PayPal. Each week when you read a chapter leave a like, a comment, and share it with your friends, followers or anyone who you think would enjoy reading The Beautiful Forbidden. Remember, doing any one of these things really helps readership grow, shows your support, and is greatly appreciated. For more information visit me on Patreon. My Patron video will be coming soon. Stay tuned. Fascinated with the language of flowers? Me too. I started thinking about what it all means and so I thought I’d explore the lost art and how it affects the stories we love. Get ready for an epic journey to the world of Norngard and find out how you can become a Loyal Norngardian. I write young adult fantasy adventure stories filled with peril, magic, myth, love and high stakes. You can read them here or on Wattpad and vote on your favorite chapters. 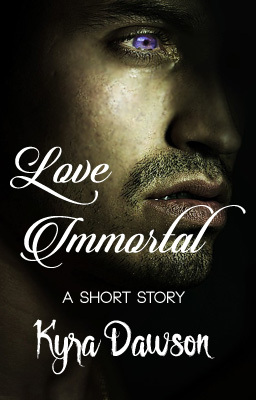 Read Love Immortal on Wattpad. Read The Beautiful Forbidden on Wattpad. Don't want to sign up for Wattpad? No problem. You can read The Beautiful Forbidden, Book One in The Books of Norngard young adult fantasy series right here on KyraDawson.com!